Meet My Girls! 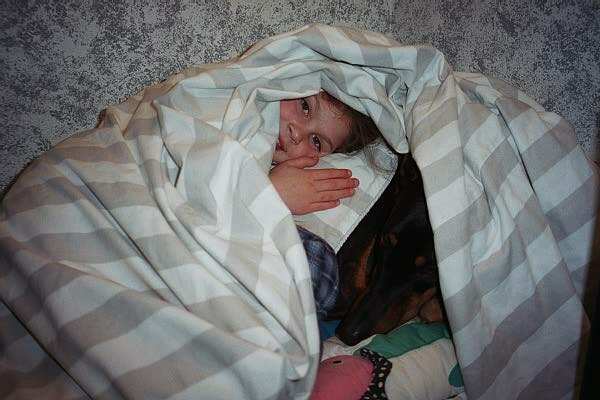 - You change and your dog will change! Guaranteed! 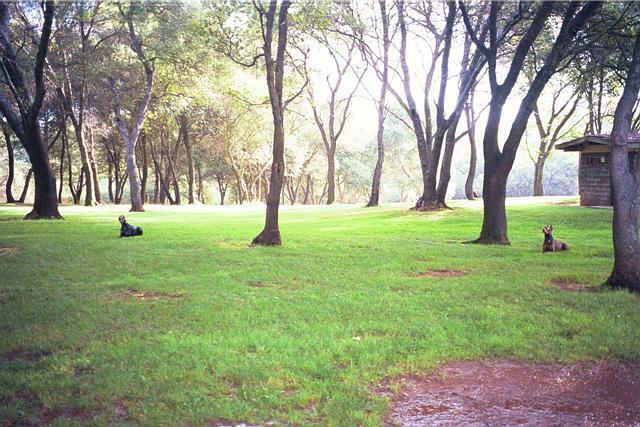 You change and your dog will change! Guaranteed! 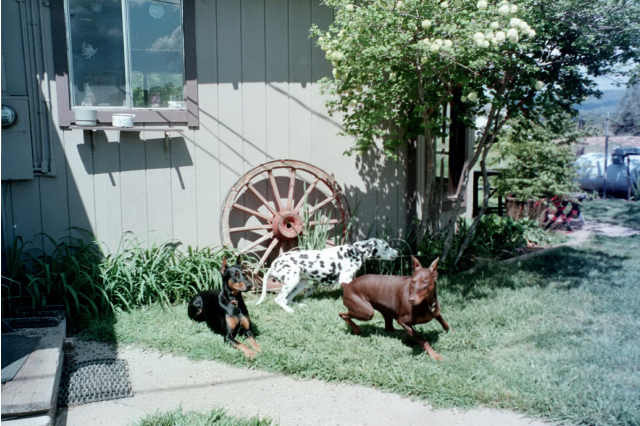 Is Your Dog Flipping You O-F-F? 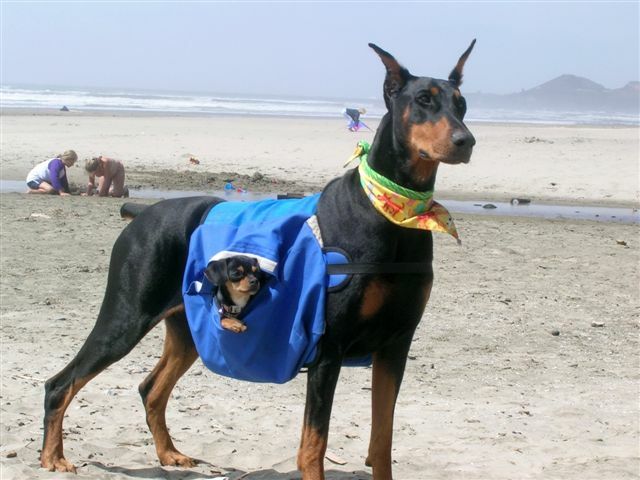 Jetta with her little friend, Mimi. 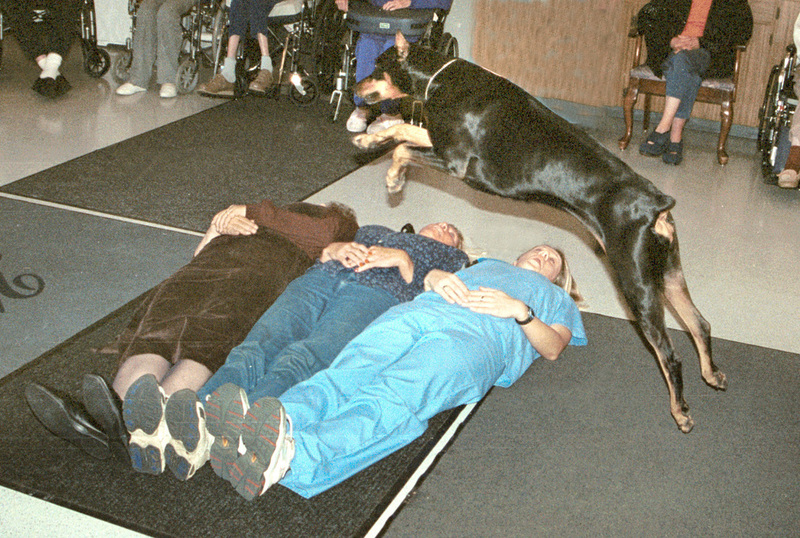 Dancer jumping staff at a nursing home trick show. Dancer with her goose, performing in a trick show at a nursing home. 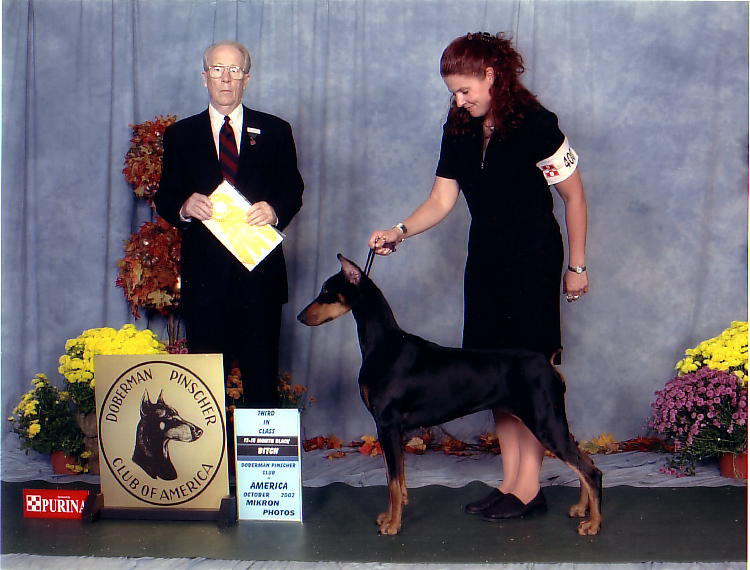 Jetta taking 3rd in her class at the Doberman Nationals. 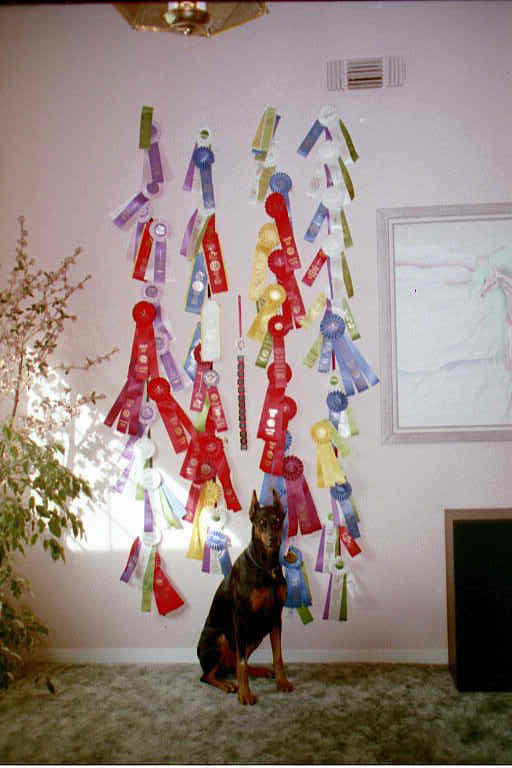 Dancer with some of her obedience and agility ribbons. 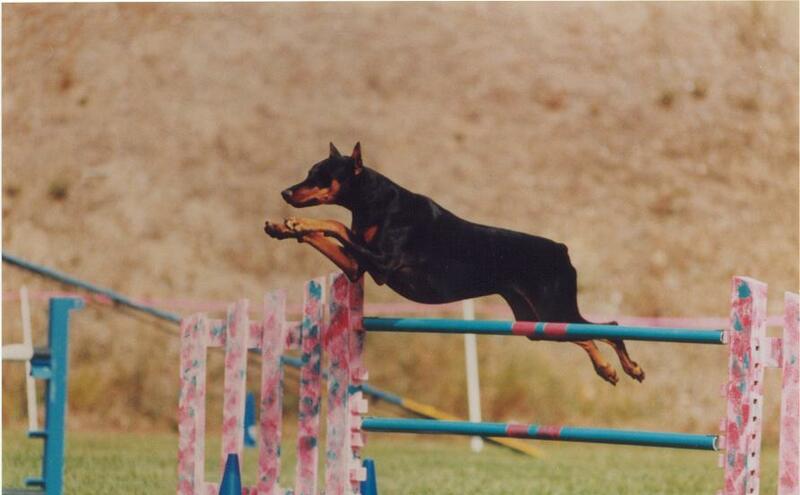 Dancer was "in the ribbons" 2/3rds of the times we ran in three agility venues. Dancer with her friend Delaney. 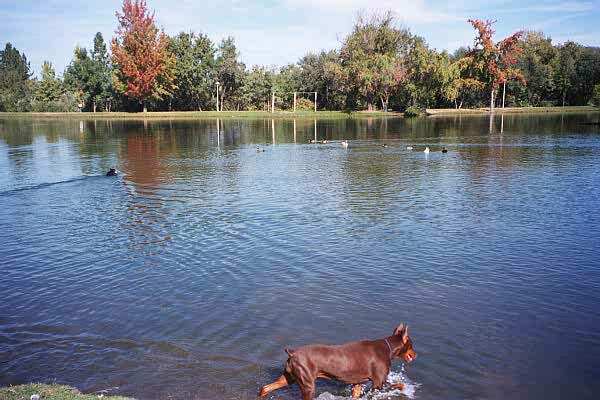 Mocha wades while Dancer swims. 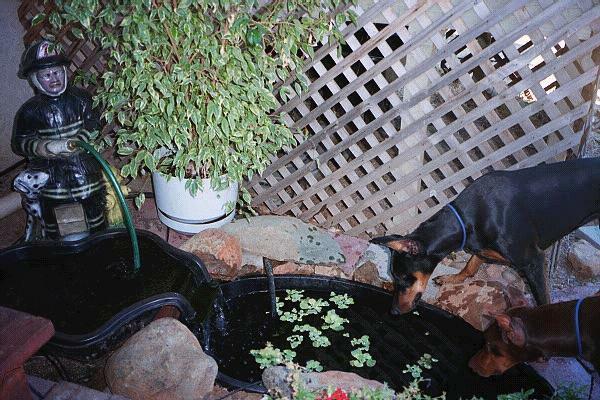 Dancer and Mocha watching gold fish in my "pond." 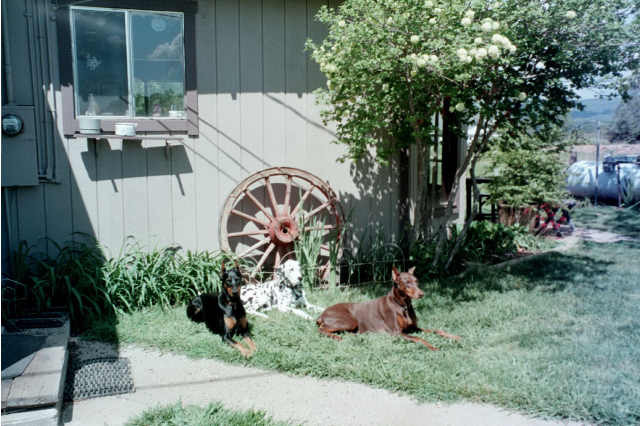 Dancer and Mocha watching squirrels while on "Down-Stay." ​on the street, ​spooking Mocha out of her down-stay. 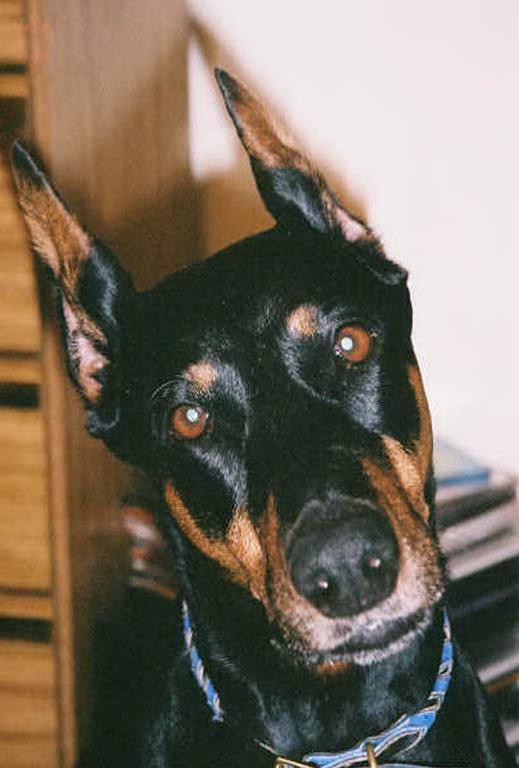 ​Doggie Parenting newsletter readers, Darlene Pucillo. I love her work! 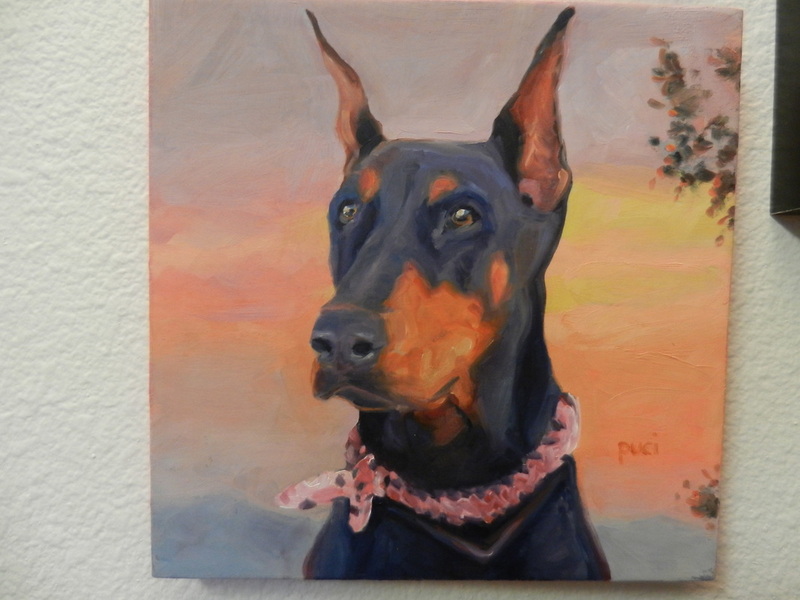 Visit Darlene Pucillo Art to see her awesome portraits! 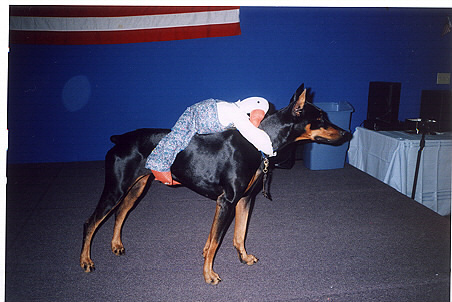 Me at 16 years old, in 4H, with my first dog, Tasha, a German Shepherd Mix.